Reduce the need for over-runs and eliminate damage caused by using traditional “rigid” strapping.  Banding using Wexler’s “foamed-white” polyproylene MATERIAL compliments high-quality boxes. Now you can look as great as your products!